Lil Pump is no stranger to trolling the masses. The Florida native has basically made a career out of his social media pranks, urinating on stacks of cash and fooling the world into believing he was feuding with his best friend Smokepurpp. 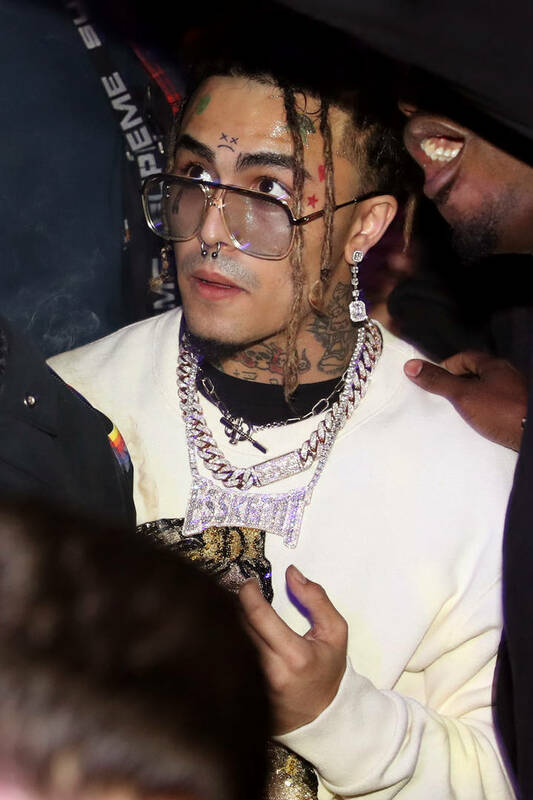 The artist's last album did not sell as well as his debut project but Pump seems set on keeping his marketing strategy intact. Either he's as dumb as he plays online or he's actually a pretty smart dude who has calculated his every move. You get to choose. As for his latest stunt, the rapper posed while clubbing with Paris Hilton and DJ Marshmello, introducing the world to his "new girlfriend." At one time, Paris Hilton was the world's most popular socialite. She ended up losing that spot to her protégé Kim Kardashian, who has shared the top spot with her sister Kylie Jenner ever since. Paris Hilton is still very much part of the party scene though as she proved by appearing next to Lil Pump on his social profile. Jetski wore a fishnet shirt with his chains on top, getting close to Paris Hilton and introducing her to the world as his "new girlfriend." At this point, we can safely assume that the rapper is trolling. For some reason, it wouldn't be out of the norm if this ended up being true but Pump has a history of joking on the 'gram. Do you think they would make a nice couple?